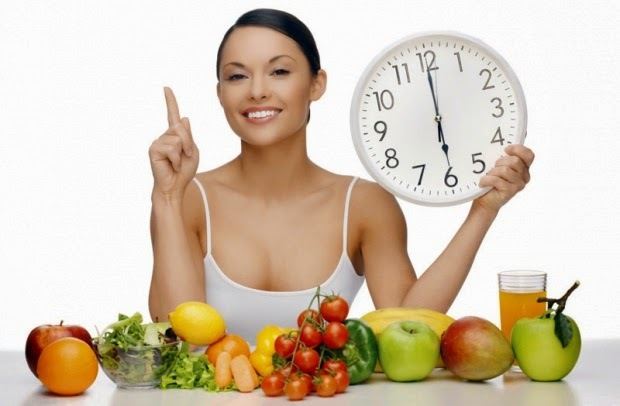 The so called chrono nutrition became a big hit in the past years, so did the chrono diet which proved to be a very successful weight loss diet. Sounds promising so far. Unlike the hard and restrictive diets, the chrono diet isn't demanding that you renounce yourself of food and special food types, all we have to do is to correctly combine groceries in the given time periods. The interesting thing about this diet is that we are allowed to to eat candies, which represents a bright and fun fact that motivates us to proceed on with it. The correct intake of particual food sorts in a given time period is a fact that many nutritionist give comments about, and the thing that complements that same fact is the regulated daily schedule of food intake which is provided in the chrono diet. Chrono diet breakfast: king's breakfast- "feast like a king"
The first meal of the day should be finished by 9 a.m. at the latest, and you can eat everything you want. A plentiful intake of carbonhydrates is recommended as well as the intake of animal source food. For instance: bread, ham, corn bread, pie, pizza, yogurt, butte and many other. Enjoy in a nice and hearty breakfast. Avoid eating fruits in your breakfast, and until your lunch you should avoid eating anything at all. The best time for lunch in this diet is from 1 till 3 p.m. The chrono diet also higly suggests that you have your breakfast every day and not to skip it because it represents the most important meal of the day. Chrono diet lunch: " feast like a princ"
Consume protein rich groceries- of animal and plant origins. As for meat the following are suggested: beef steaks, turkey, fish with green beans or salad (without bread). Avoid carbonhydrates and proteins in a mutual combination. An afternoon snack is also included in the chrono diet menu and best to be consumed from 5 to 7 p.m. Snacks should include plant fat: nuts, peanut butter, olives, honey, dark chocolate ( to 30 grams) or some season fruits. Chrono diet dinner: " dine like the poor"
The lightest meal of the day should be consumed two hours before going to bed, a mix of salad and lean meat is suggested, best would be a tuna salad. But if you don't feel hungry you skip that meal. The point is to take in proteins and salads (lean meat, tuna..) two hours before going to sleep. Thats the lightest meal during the day in which you avoid the intake of candy, or if you are still well fed from the previous meals you can skip this one completely. * Don't mix meat and milk products exept on breakfast when it's allowed. * Drink a lot of liquid, if you drink coffe than drink it without sugar. * Pasta, bread, potatoes can be consumed up till 3 p.m. after that don't eat any of those. What is this chrono nutrition? First and foremost it's an idea of a correct grocerie schedule which stubled on a positive and affirmative approval of many nutritionists. Thanks to that, the chrono diet got a good reputation and placed itself on the peak of very popular weight loss diets. With it you don't suffer from hunger during the day, and the risk of falling into a state of hypoglycemia. The chrono diet demands a certain level of dedication ( refers to the following of time and schedules), and if you stick to the rules the success will not be absent! The diet also suggests that you participate in a certain amount of daily physical activities: regulat walks, bicycle rides and other. As is the case with other diets, you should consult with your doctor before you begin with this one. You should be eating food that is native to your province and that is fresh. As we mentioned earlier it is best to consume the meals always in the same given time and that the time between them should atleast be 4 hours long, so we can calm the activity of our pancreas. Avoid drinking carbonated drinks, which contain sugar and artificial sweeteners. Quick unhealthy snacks are forbidden especially between meals. Fruits and dry fruits are only allowed between 4 and 6 p.m. (winter period) or 5 to 7 p.m (summer period). Pasta isn't allowed for consumption at late hours. Cow milk is hard to digest, and the chrono diet excludes it completely. It can only be used as a ingredient in cooked meals but too often, while cheese and yogurt are allowed. Margarine, herbal cheeses, herbal sour cream and bakery products, all which contain so called trans fats also aren't allowed in the chrono diet.